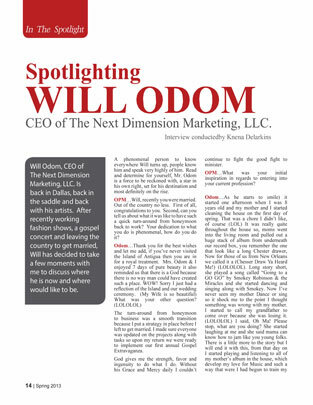 Mr. Will Odom is CEO of The Next Dimension Marketing and Management Company based in Frisco Texas. 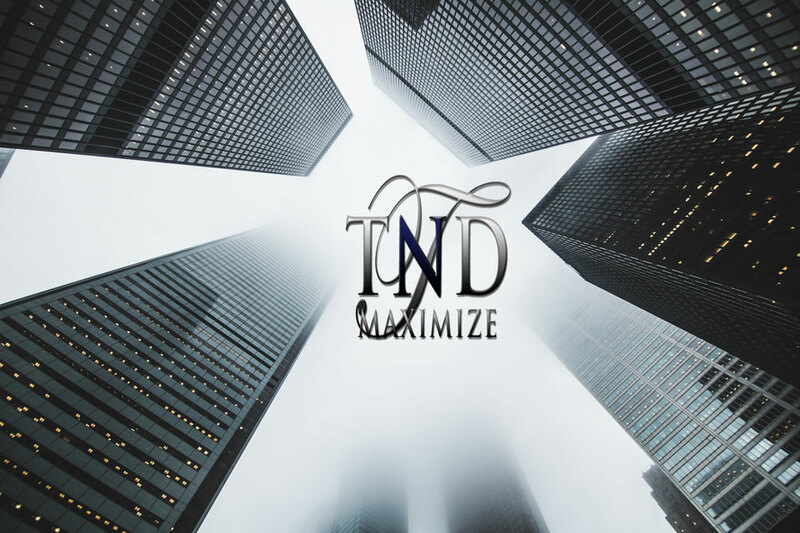 He has 25 years of experience with Marketing, Branding, Press releases, Planning, Executing, Monitoring & Controlling various projects for Entrepreneur’s, Entertainers, Radio Talk shows, Non-Profit organizations and a apparel company. With 12 years experience as a Project Manager in Telecommunications, Production Coordination and Stage Management for Fashion Shows and Talk Shows in Texas, Mississippi, Memphis and now Chicago, Mr. Odom is highlighted as one of the most important players in this professional environment. He has had the opportunity to work and serve along side with a plethora of world-renowned Pastors at The Potter’s House Church, of Dallas Texas, for 15 years, as well as public speakers, fashion designers, models, musical artists, musicians, sound engineers, high-end fashion photographers, Celebrity Stylists, Make-up Artists and the Clothing Line, JESUS Inc. 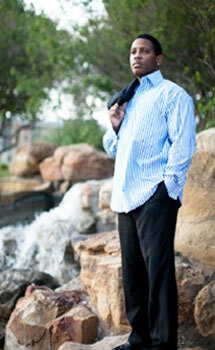 He is the Director of Marketing with Top of the Line Media/Phazzanation Studio, located in Frisco Texas. Their mission is to provide an unprecedented creative level of recording studio, production, videography, song & jingle writings and photography. He has worked on the 2015 nationwide release Hit Movie, “Carter High”, and Soundtrack. 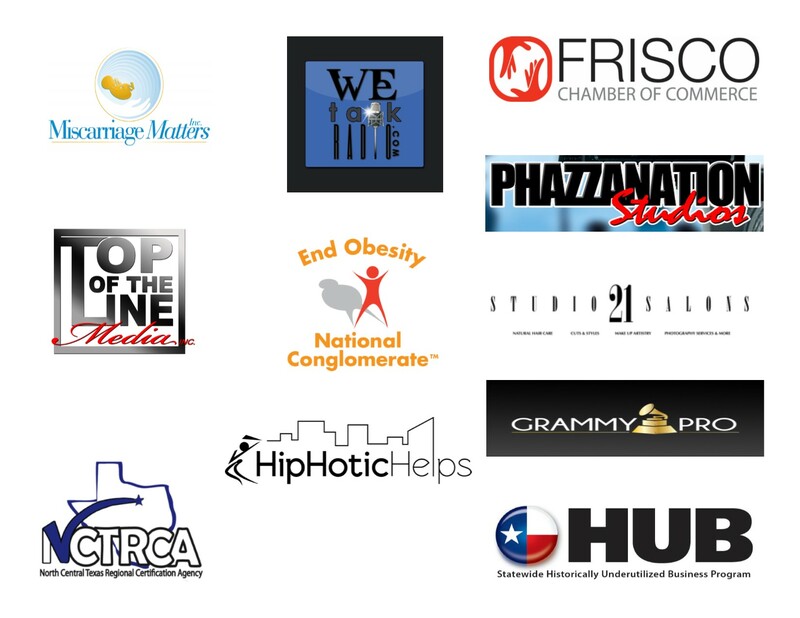 He also organizes and provides the entertainment connected to the Martin Luther King Luncheon each year for Dallas Bar Association. He sits on the Board of Directors for the non-profit Miscarriage Matters Inc., whose vision is to provide support to the survivors of miscarriage, stillbirth and early infant loss, while increasing awareness around these devastating and heartbreaking issues. He attended Dillard University in New Orleans Louisiana, major in Computer Science Tech. Worked and gained 25 years of experience as a Project Manager, Network provisioner, Circuit Designer, IT Program Coordinator, Direct Marketing, Artist Management, Stage production Manager and Artist development in the Entertainment Industry.